I agree that doing the machine applique on the single Dresden blocks was easy. It is much more cumbersome when they are together. I'm appiqueing the "border" right now. At least that is near the edge, but the top is heavy! I'm looking forward to seeing your progress. The Dresden Doilies are coming along very nicely...very adorable. Sounds like you have some fun projects in the works and love watching they come together. Summer is winding down tooooo quickly and still many projects left to work on. Think they might be fall ones too! What machine do you use for machine applique? I use my normal everyday sewing machine which is a Pfaff, Quilters Expression 4.2 for machine appliqué. Love your Dresden Doilies, Thelma. I sew 'bright and colorful projects' year around. Won't you join me? :-) Occasionally I do throw in something darker but I definitely prefer bright and colorful. 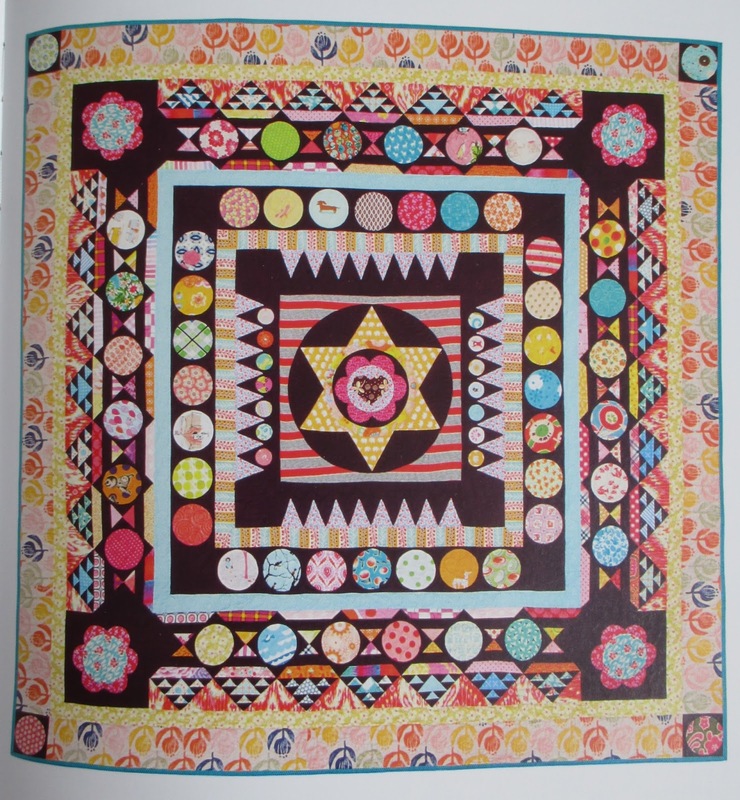 Couldn't you have sewn 1/4 Dresden blocks in the corners of your blocks and joined them together that way? Then you would just need to applique down the center circle - otherwise I might be tempted to stop where you are as it already looks fabulous. I know what you mean about other projects popping up but Sarah's book looks like one I may have to track down. That's what I love about Sarah Fielke and her books - it's all about the attitude! Be happy - love what you do - it's perfect however it turns out. Love your Dresden progress. I'm interested to know which line you're using for your schnibbles quilt. I'm so drawn to the Avalon collection on the cover, but would love to hear what others are using. 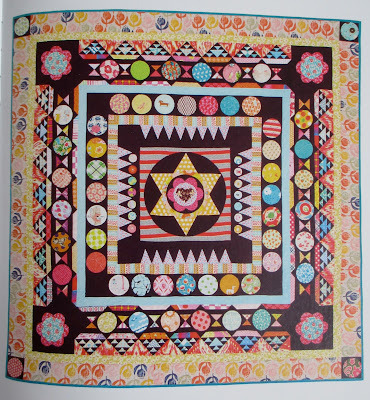 The star quilt in the book is on my to do list and I even have a stack of Urban Cowboy cut out and ready to go for it. Love that pattern. Can't wait to see what you start with! I love your Dresdens and can't wait to see more added to the top! p.s. (Or sew the side borders on the two halves of the quilt... but, yikes...you would have a seam in the middle of the border :o). I'm hoping to make the 61 block size of Canasta also--I just hope I can get it done in time! Wow! These are looking so adorable. I just want to say that It is really outstanding sharing thanks and just keep up the good work.